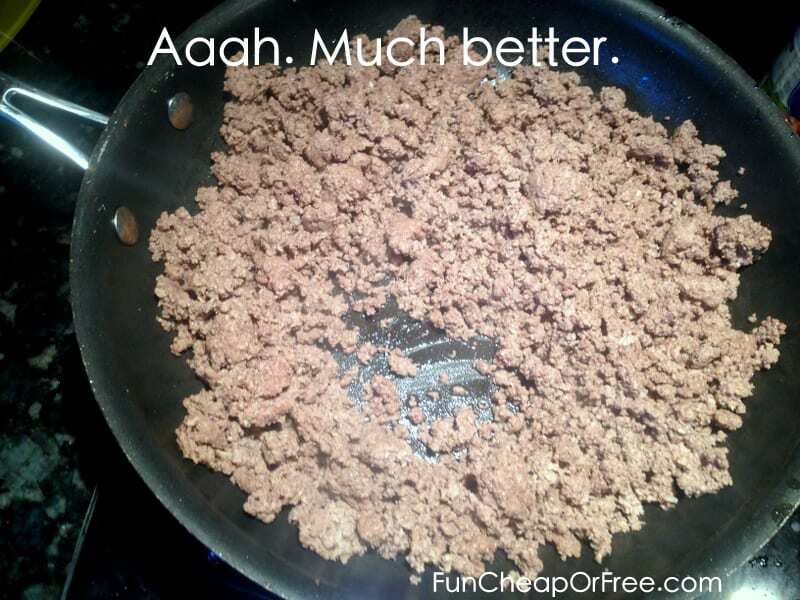 Brown your ground beef until it's about 80% cooked through. Drain the grease. I like to tip my pan up, scoot my meat to the high side of the pan, let the grease drain down, and spoon it out. 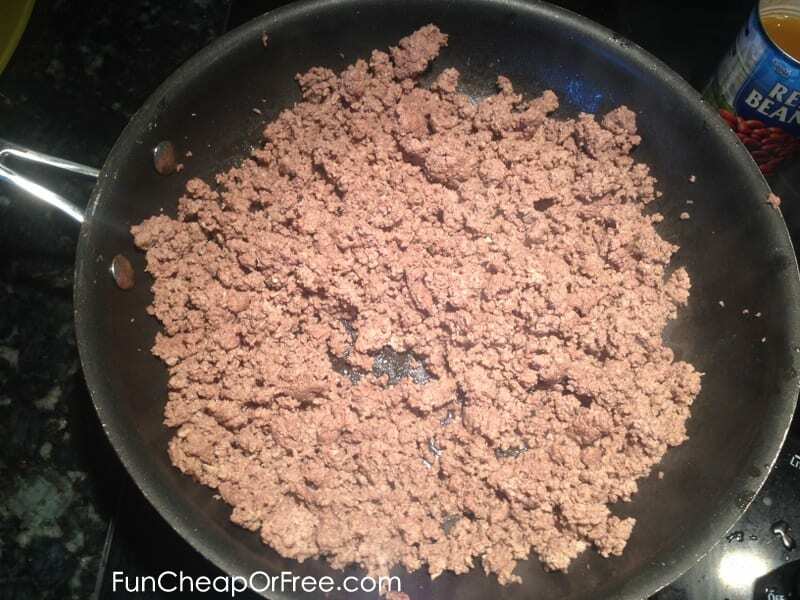 Add about 1/4 cup water to your beef (with the heat still on), and finish cooking it. 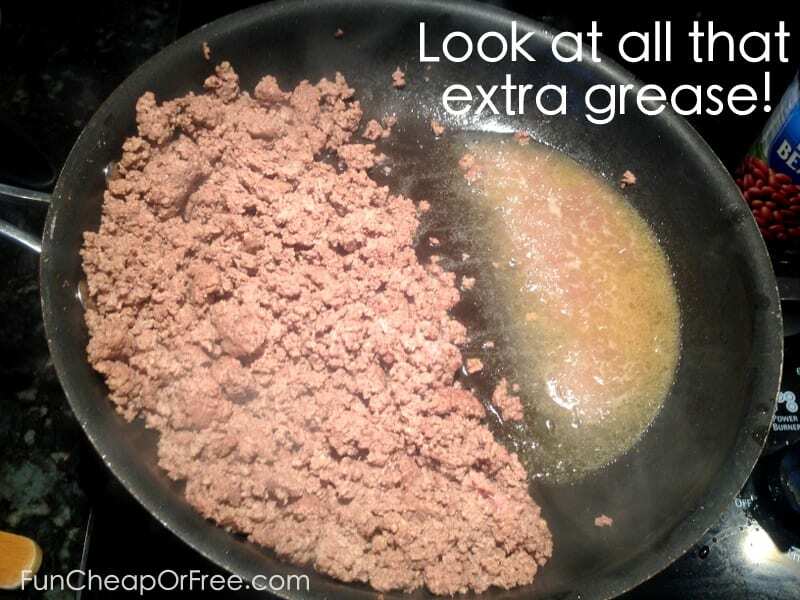 You will be SHOCKED at how much additional grease comes out! Whether you buy the cheapest beef or the nicest, leanest kind, this trick will still work. This is a great way to get away with buying the cheaper meat, but still making it healthier for you and your family. Aaaah. Don't we all feel better?? 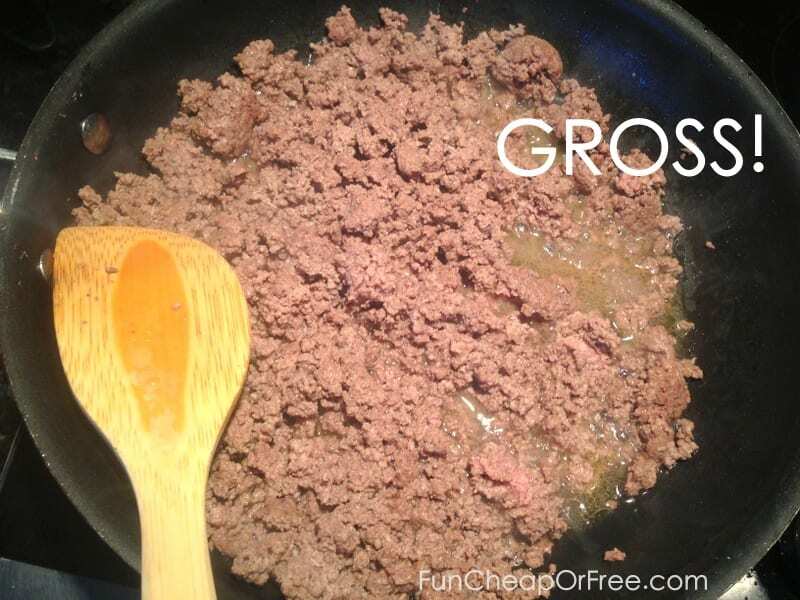 I just dump my pan into a strainer and rinse it under the faucet… now I can’t STAND greasy hamburger!! That is a great tip! Thanks so much for sharing. 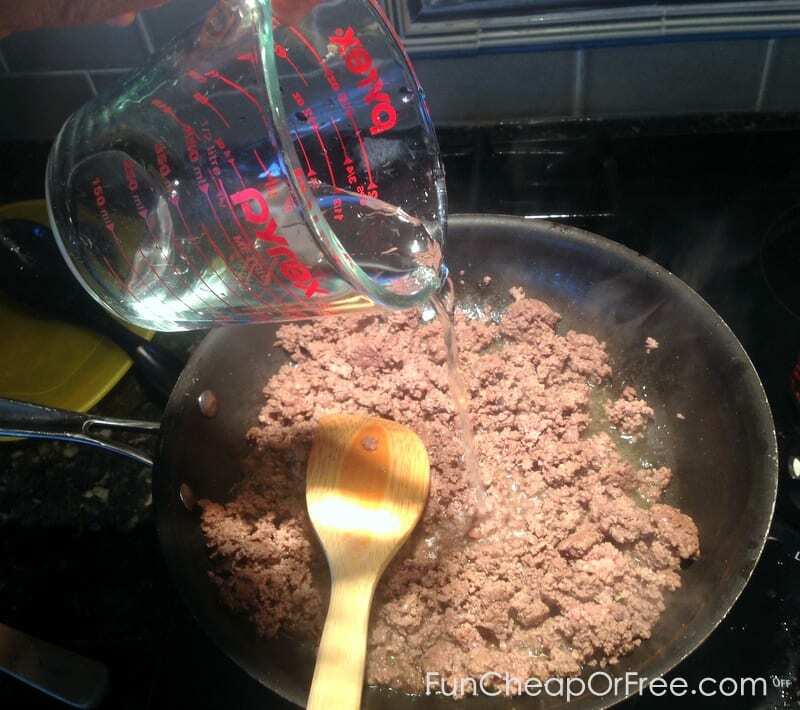 This is a neat idea and I would like to try it on some lean beef, but when you buy lean meat you throw out less. Buying meat that has a higher percentage of fat and then throwing out that fat means that you are spending just as much, maybe more for an inferior product. I put mine in a metal colander with a chopped onion, place it in a Dutch oven with @ 1 inch of water, and then steam it. Zero fat left!